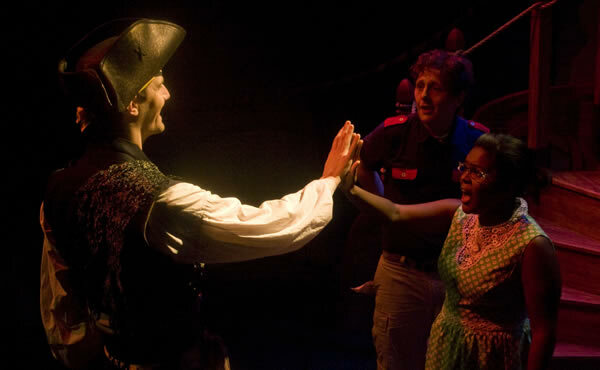 Jesse McCall has moved to a new town and is having trouble making friends at school. 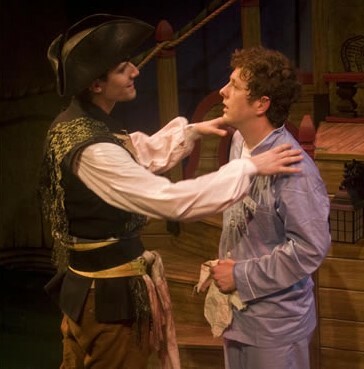 But Jesse isn’t lonely; he’s too busy going on adventures with his imaginary pirate, the Terrible One-Eyed Jack. 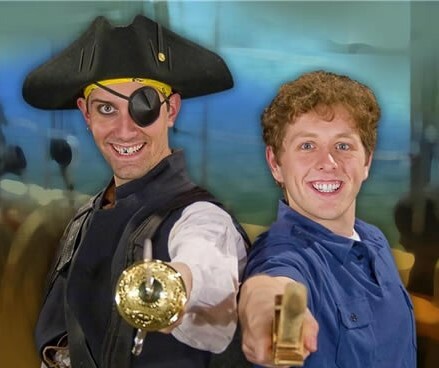 Jesse and One-Eyed Jack are determined to find the buried treasure – but run into all sorts of trouble; the Outlaw Pirate, Red Legs Ricky, is trying to steal their treasure map, Jesse’s mom is trying to come to grips with an imaginary pirate living in her house and Jesse’s teacher, Mrs. Pierce, is trying to teach her class their multiplication tables! 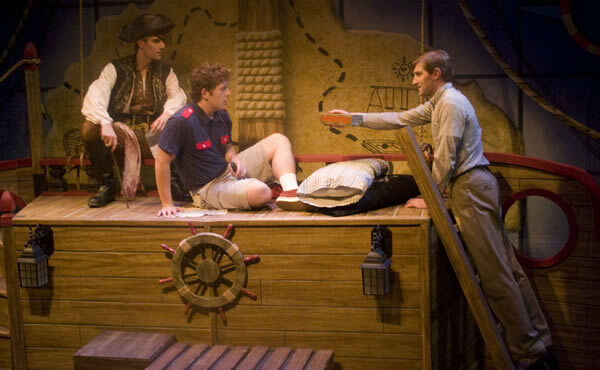 But everything works out in the end and – with a little help from his dad and One-Eyed Jack – Jesse comes to realize that friendship is the greatest treasure of them all. 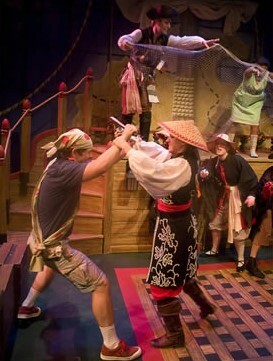 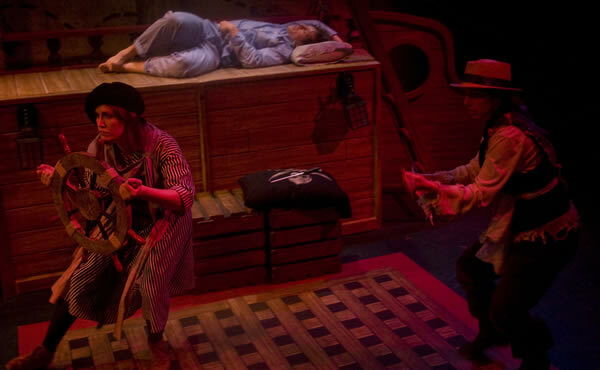 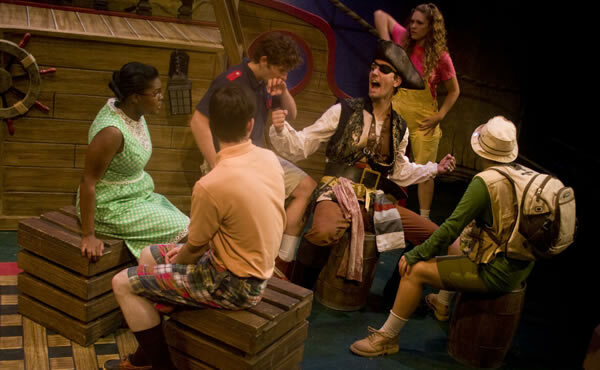 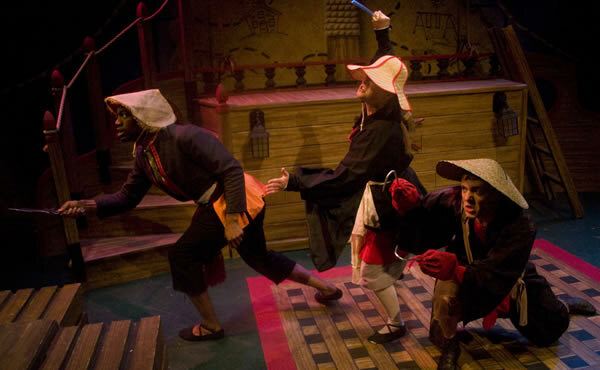 My Imaginary Pirate was first produced in 2010 by the Barter Players (Abingdon, VA), Katy Brown, Artistic Director.